Komodo dragons are the world’s largest lizards, but in the wild they live on only a few small islands in Indonesia. These endangered predators are renowned for bold hunting techniques and are capable of killing pigs, deer, and even water buffalo! We are part of the Komodo Dragon Species Survival Plan through the Association of Zoos and Aquariums. This program is dedicated to the conservation of these giant lizards, and as a participant, is it our job to try to get the male and female dragons to mate. We don’t have any dragon babies yet, but we’re working on it! 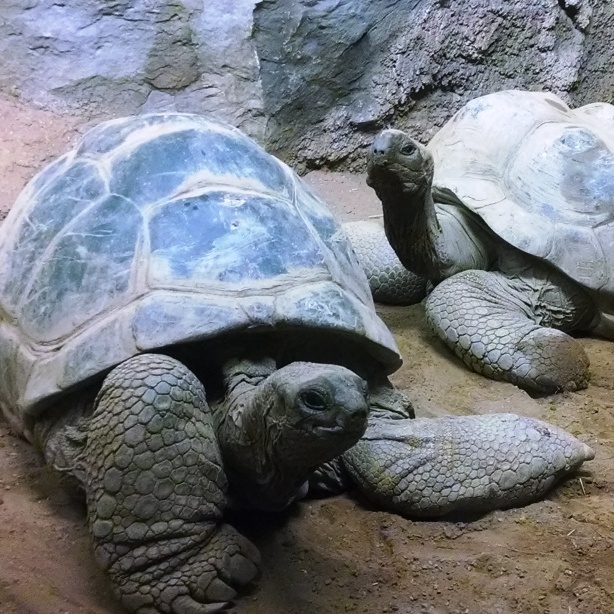 Al and Henry, our beloved Aldabra tortoises, also reside in the Island Giants building. Despite being right next to the infamous Komodo dragon, these two have no problem getting attention—they’ve been charming visitors since 1967! Witness one of them eating a piece of fruit, and you’ll be sure to fall in love. Better yet, feed them yourself with our Meet & Feed the Gentle Giants experience! Island Giants includes a stunning recreation of a dragon habitat that will also serve as a breeding facility for conservation of the species. 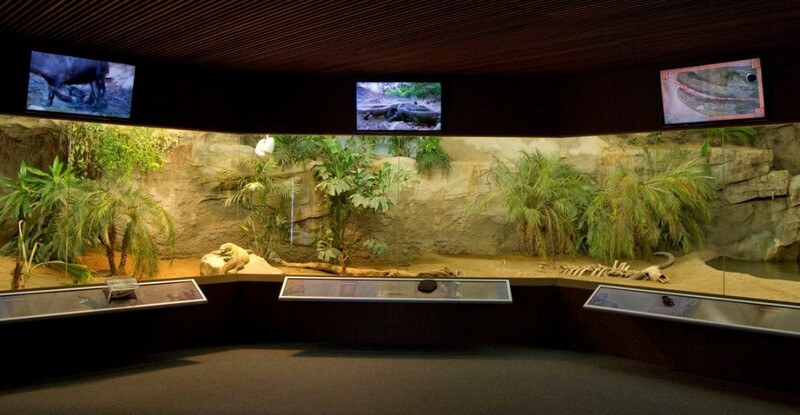 Designed and built in-house by Reptiland staff, the 3,000 square foot facility is no ordinary structure. 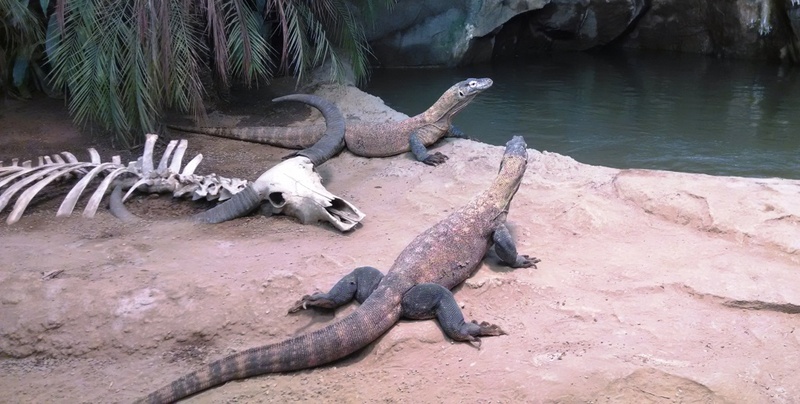 Komodo dragons need extreme heat, deep soils for digging, and lots of natural light. Because of this, the building is heavily insulated with double-thick concrete walls. To minimize the environmental impact, a green roof with ten inches of soil supports native grasses and wildflowers; energy efficient skylights permit maximum exposure to sun; and an environmental control system maintains scorching tropical temperatures with basking spots of 110 degrees! 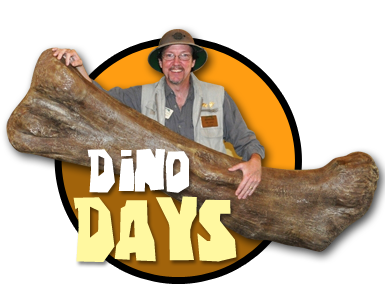 Live plants, artificial mud banks, and a recreated kill site make Island Giants among the finest naturalistic exhibits of its kind.